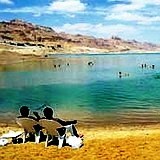 Situated inside the Great Rift Valley at 400 meters below sea level, the Dead Sea is a unique wilderness area, rich in desert plant and animal life, biblical history, human drama, and archaeological sites. 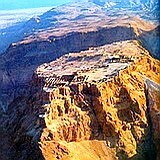 Join Zack Shavin, guide & archaeologist, exploring this extraordinary region: The story of Masada, king Herod’s fortified mountain-top palace refuge. Why did the Romans pit thousands of soldiers against a handful of Jewish men, women, and children? Where did the water come from? 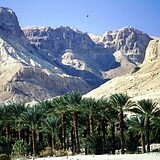 Ein Gedi oasis and waterfalls of David’s Canyon where wild ibex mountain goats wander the cliff face, Qumran and discovery of the Dead Sea Scrolls, float in the therapeutic waters of the Dead Sea. Return to Jerusalem, via Jericho, oldest city in the world, and Inn of the Good Samaritan. For more information about Zack Shavin’s Private Guide tours of Israel & the Holy Land contact Zack, lead guide & biblical archaeologist at Land of Israel Tours. For recommendations see Testimonials. You can also read About Zack.